“Avoid using electrical space heaters in bathrooms or other areas where they may come in contact with flammable items. Frozen water pipes? 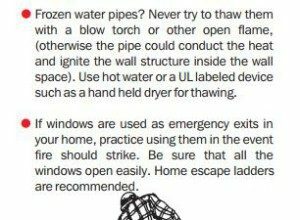 Never try to thaw them with a blow torch or other open flame, (otherwise the pipe could conduct the heat and ignite the wall structure inside the wall space). Use hot water or a UL labeled device such as a hand held dryer for thawing. As another safety measure, it is recommended to prepare your home for the harsh winter months by scheduling annual maintenance. At Berico Fuels, our technicians perform comprehensive furnace tune-up’s in Greensboro, making sure that your heating system is working at peak performance. Toxic fumes can build up inside of a home if the furnace is not vented properly, and our certified technicians will check every area of your furnace to ensure complete safety. “• Never discard hot ashes from a fireplace inside or near the home. Place them in a metal container outside and well away from the house. • Never use a range or an oven as a supplemental heating device. Not only is it a safety hazard, it can be a source of potentially toxic fumes. With a high performing furnace, you will not need supplemental heating or space heaters. An efficient heating system will provide warmth in all of the rooms of your house and provide good air quality. Berico Fuels can help you maintain safety and warmth all winter long. At Berico Fuels, we offer complete and exceptional heating system and furnace repairs, installations and maintenance in the Greensboro region. Call us today to stay healthy and safe this winter: 336-496-2509.